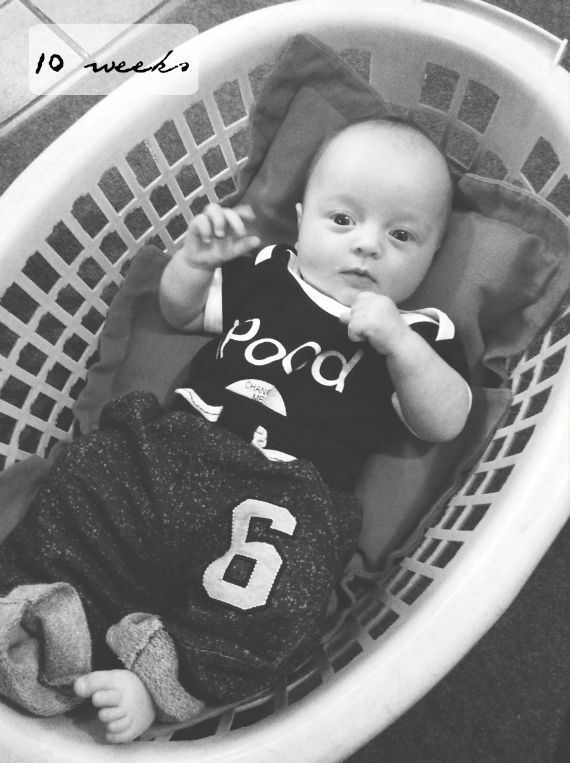 Oscar was 10 weeks on Sunday and the weeks seem to be flying by faster now! It seems like yesterday that there was 8 weeks to go until his 12 week mark. I love this stage he's at - it seems like every day there's something new he has to show us or something he's improved upon. From sleeping for up to six hours in one go at night (sometimes!) 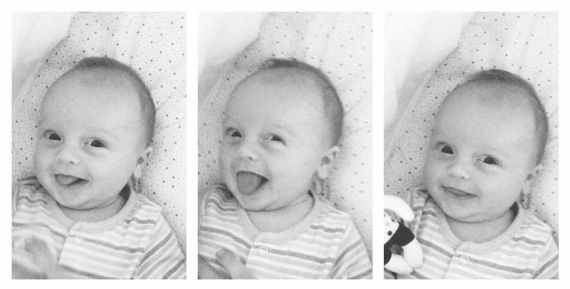 to looking at us all the time, to talking to his toys and giving us the biggest smiles and giggles! It's really thrilling and interesting to see him developing everyday and bizarre to think he was only a tiny newborn 10 weeks ago, he has grown so much. He still has a habit of snacking - that is wanting to feed every half hour-hour or so - and only taking about 60mls at a time. He loves to do this in the day, when we are out in the sling or in the early hours of the morning (3am) when he decides he is bored and has woken up! I have noticed the evenings are slightly darker already, which comes in handy for getting him off to bed before 8pm as he has trouble settling down when it is light outside. I am just waiting for the mornings to grow darker - I never thought I would say that! - so we can sleep a bit longer than 5am. Sleep deprivation is so jarring at first with a newborn, especially if you are always on night duty and I would not wish it on anyone! I feel like my body is adjusting better now, but it can feel awful and I remember the worst was about 4-5 weeks in. 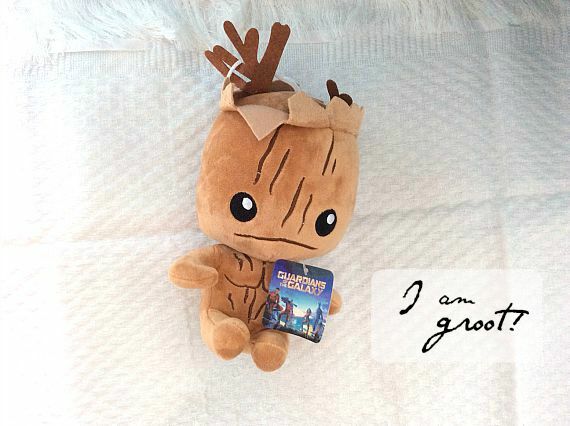 We try to interact with him lots as he is noticing and learning things now; when he is not being fidgety he likes listening to music (Tchaikovsky's Nutcracker Suite) in daytime and has a new Groot toy! I would love to get some baby books and start attempting to read to him. My anxieties have been bad recently so I try to get out as much as possible and do what I can manage. Being out with Oscar feels great when I can do it - it makes me feel more in control of everything! These images are slightly weird and blurry from being taken from a video - but they were too cute not to share!! Cute baby. I love kids. I am writer and providing help with personal statement at Personal Statement Folks. I am also providing playing and learning activities at my play school. Thanks. So Sweet baby Elizabeth! Happy to read that baby likes listening to music in daytime. One of my best friend who also provide CV Consultant Service with me at CV Folks, also have a baby boy. I have noticed that he also love music very much. I love kids and also like your blog. So cute.. Thanks Elizabeth for sharing information about baby habits. Since I am a secure assignment help writer and providing assignment help service in Australia. I would like to share this information with my friends, who have kids. Thanks for sharing here. particularly adore the avenue Gardens and the Queen Mary's Rose lawn, oh and people excellent Victorian gates... it truely is a place wherein time stands nevertheless. I spent the whole day here for my 18th birthday - intended so much greater to me than going consuming - and got as excited as a squirrel, turning round corners to discover hidden fountains. I'm working at resume writing service i like touring to the West Midlands, no longer simplest because it's so different to my place in the country (hiya sheep), however because it approach a lot to me seeing the locations in which Mitch grew up and half of in which Oscar is from!